Ahhhh, beautiful, precious cardboard. Is there anything it can’t become? 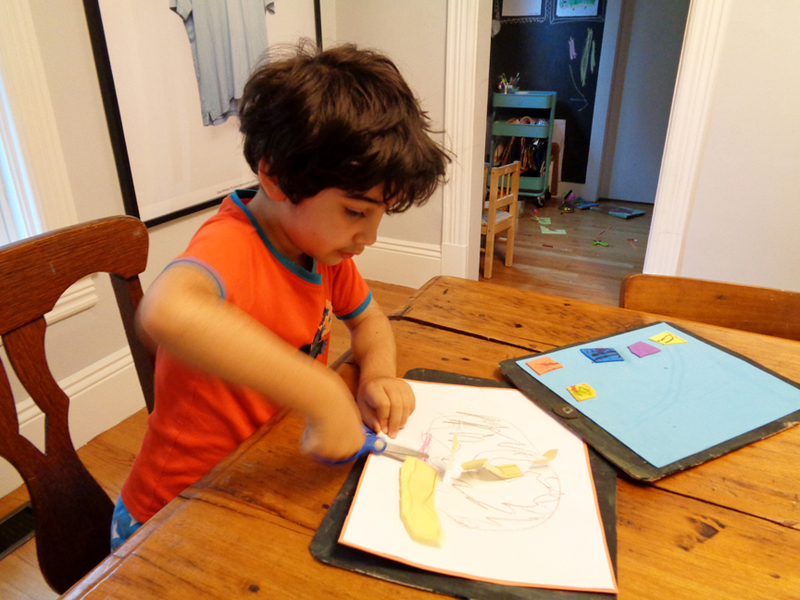 Our recycling bin is one of our most shopped sites for art materials and entertainment, in fact my son recently forbade me from throwing away any cardboard box, EVER. These kids love cardboard so much that despite having two cutely outfitted twin beds, they have recently taken to even sleeping in it. Yes, we’re those mean parents who won’t get their kids a tablet. (I spend enough energy setting and enforcing screen time limits as it is.) They love to play games on their grandparents’ ones, and my son tries to create analog versions of his favorite apps to play back at home. And “Medic,” where you remove construction paper tumors from the patient’s brain. I watched, and rewatched it a couple of years ago when it came out but what I didn’t realize until recently is that it had a huge impact beyond the viral popularity of the video. Donations flooded in for a college fund for Caine (currently at almost $240,000!) and the filmmaker ended up starting a foundation to promote this kind of creative play for kids. It’s called the Imagination Foundation and they also host an annual event called the Global Cardboard Challenge where kids are invited to make anything their imaginations can dream up out of cardboard and other recyclables. 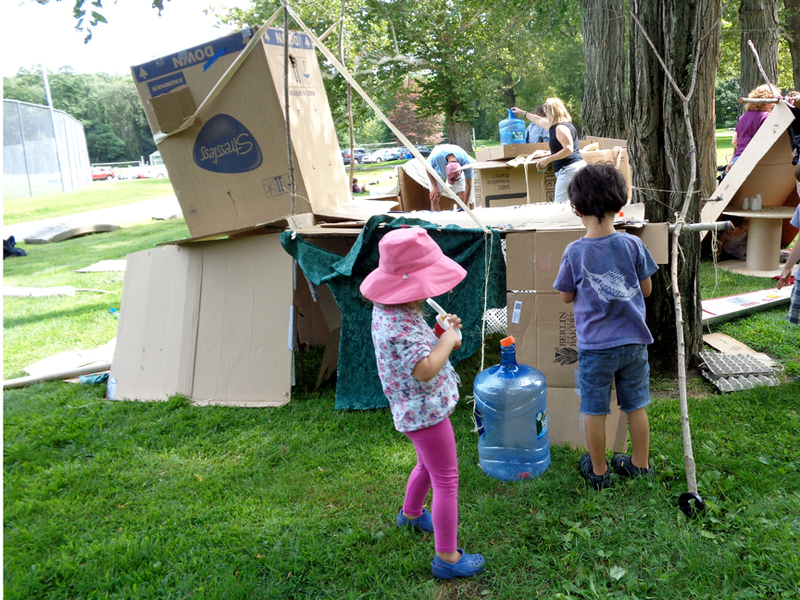 We actually went to a very similar event recently, sponsored by The Play Workshop, a new non-profit organization in Northampton, MA, that is working on bringing a permanent adventure playground to the area. If you read that Atlantic article The Overprotected Kid about adventure playgrounds last spring, then you’re probably as excited about this prospect as I am! 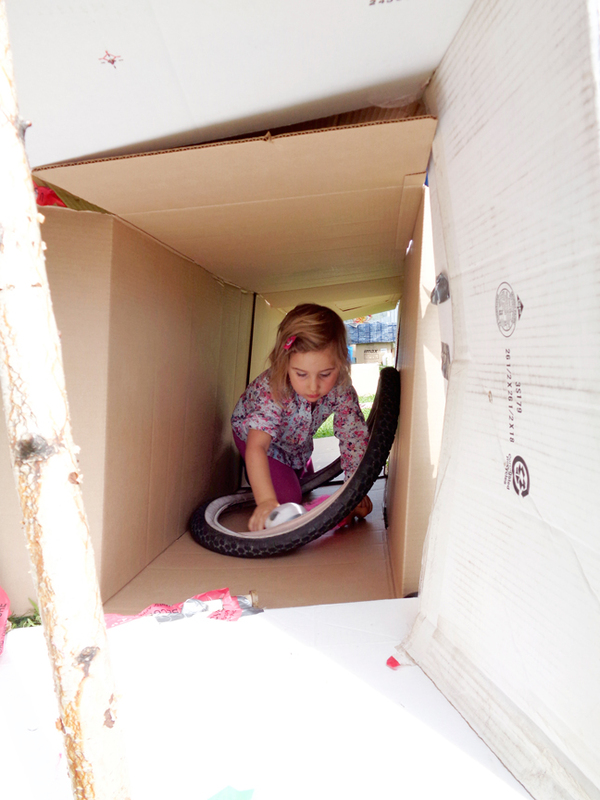 A place for kids to play independently, constructing their own play structures out of loose parts. Healthy learning about risk-taking! Self-expression! The pride and excitement of creating things for themselves! I long for my kids to have the kind of free-wheeling childhood I did, and while there were no European-style loose parts playgrounds involved, there was a heck of a lot more independent, unsupervised play than is considered normal, or even legal, today. Less helicoptering, more Roxaboxen. I have a lot to say about the trend toward constant supervision ’til high school, actually, but that’s pretty far off track from what I meant to talk about here, which is my passionate love of cardboard. 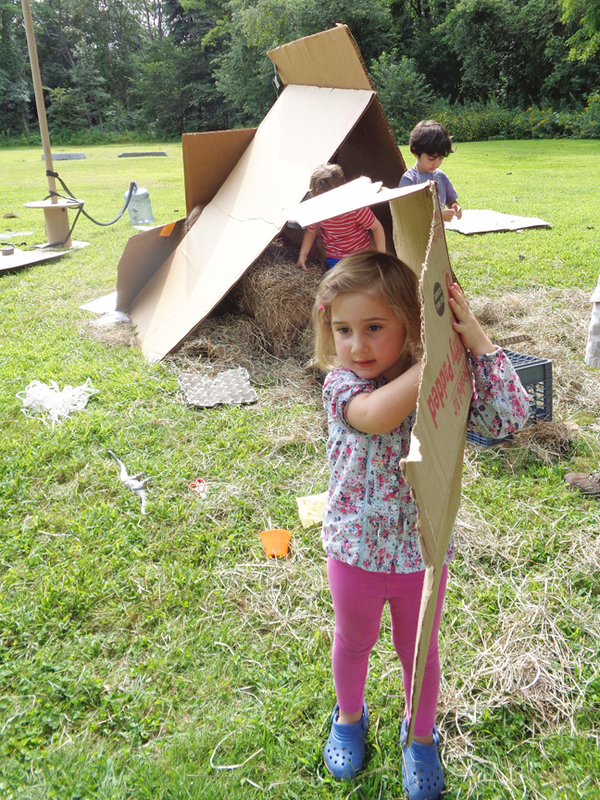 So The Play Workshop’s eventual plan is to create an adventure playground in the Pioneer Valley, but until they reach that goal, they are putting on these pop-up adventure playgrounds, where the loose parts are easily transportable stuff like, you guessed it, cardboard boxes and recyclables! as well as making some improvements to them. and making some constructions of their own. 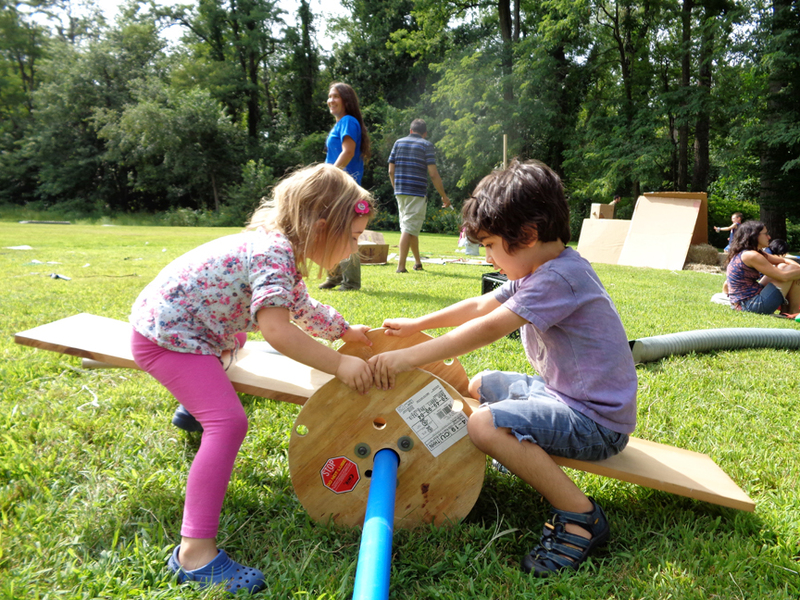 They even built a teeter totter out of an old cable spool and a long board! What my three year-old lacks in cardboard building skills, she more than makes up for in imagination. She adopted this scrap of box and declared it her pet tiger, carrying it around with her for a good 30 minutes. And both kids seemed to get as much enjoyment out of the clean-up process as they did the building and exploring part, utilizing this pile of flattened boxes as a trampoline. I want to finish by sharing my favorite resource on cardboard and kids. 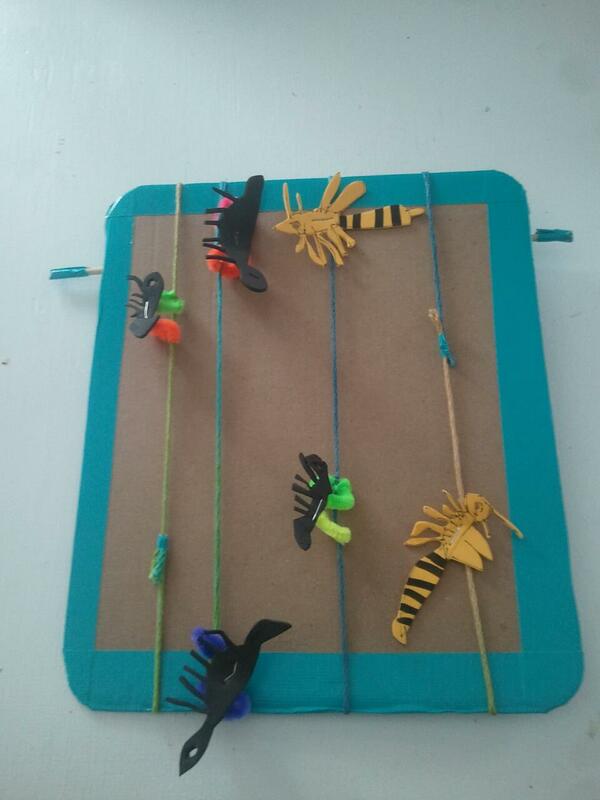 The amazing and inspirational LiEr of Ikat Bag wrote this awesome cardboard manifesto a few years ago, and it is basically the bible of how to make stuff out of cardboard with your kids. What kind of cardboard to use for what purpose, how to cut it, how to bend it, how to fasten it, and links to a bunch of tutorials of cardboard toys she’s done, including the cool viking ship we made (above) and dozens of other great things.